Hosting a party? 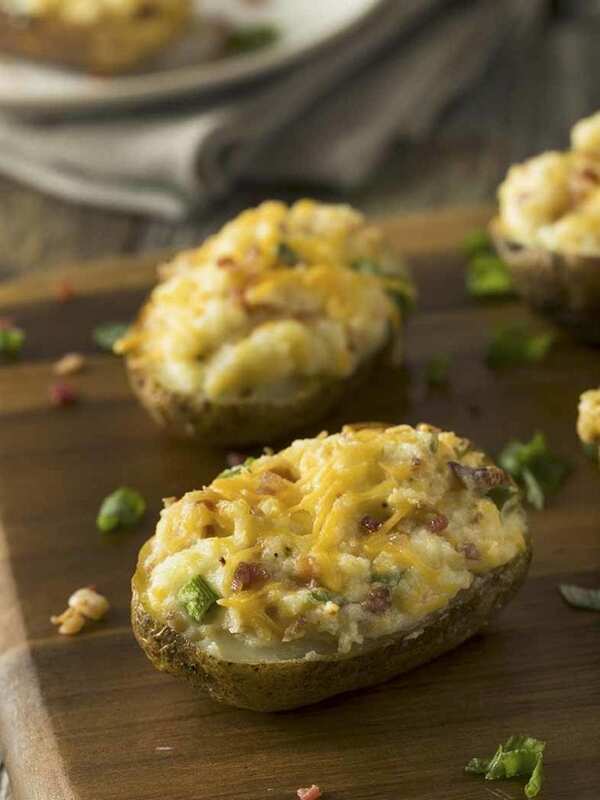 Serve these loaded potato skins to huge applause. 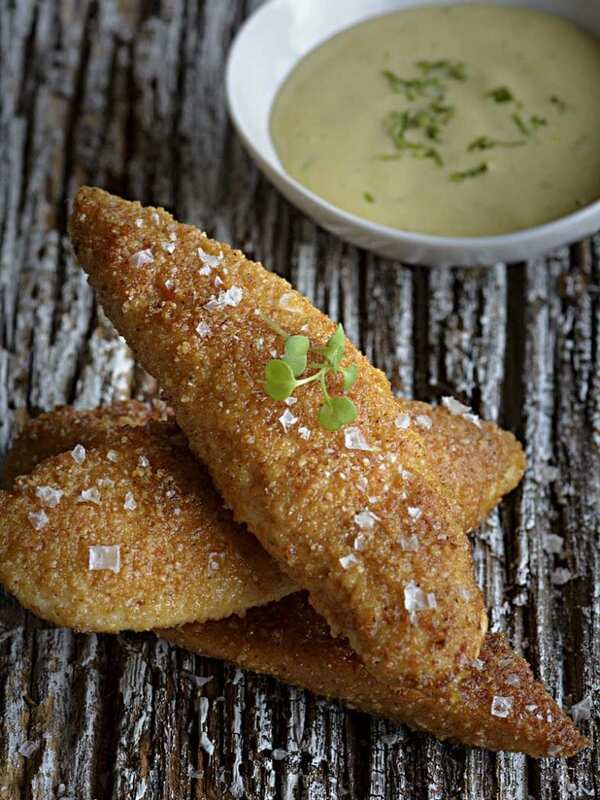 Filled with cheese and bacon, they are the perfect party finger food. 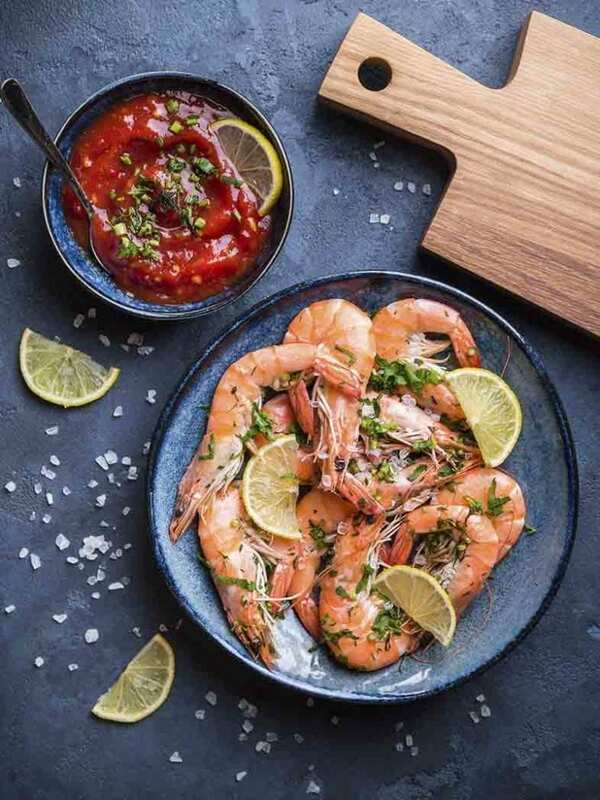 Succulent prawns (shrimp) paired with a home-made spicy salsa are perfect for entertaining guests. Serve at your next party, BBQ or special occasion. 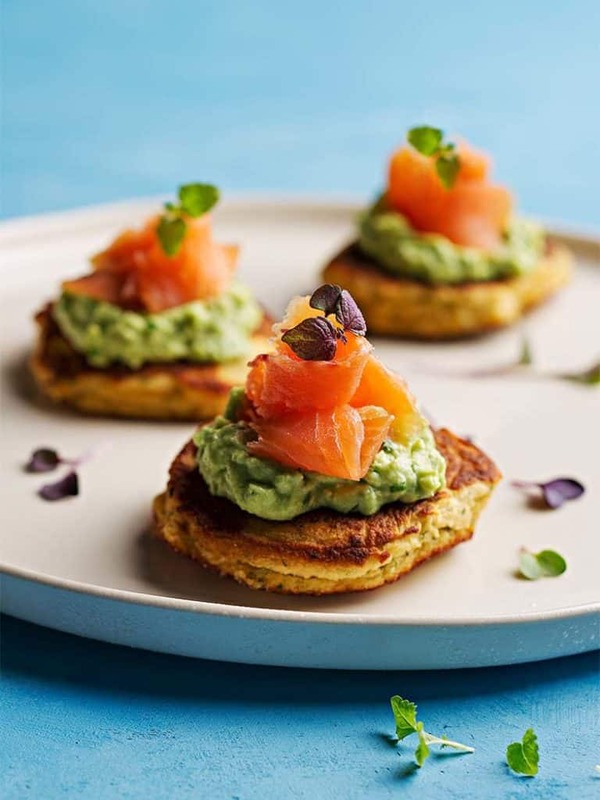 Smoked salmon blinis (or mini pancakes) are a perfect canape or appetizer for the holidays or any special occasion. SIBO friendly and 100% gluten-free. This dish is a variation of the famous Singapore chilli crab. 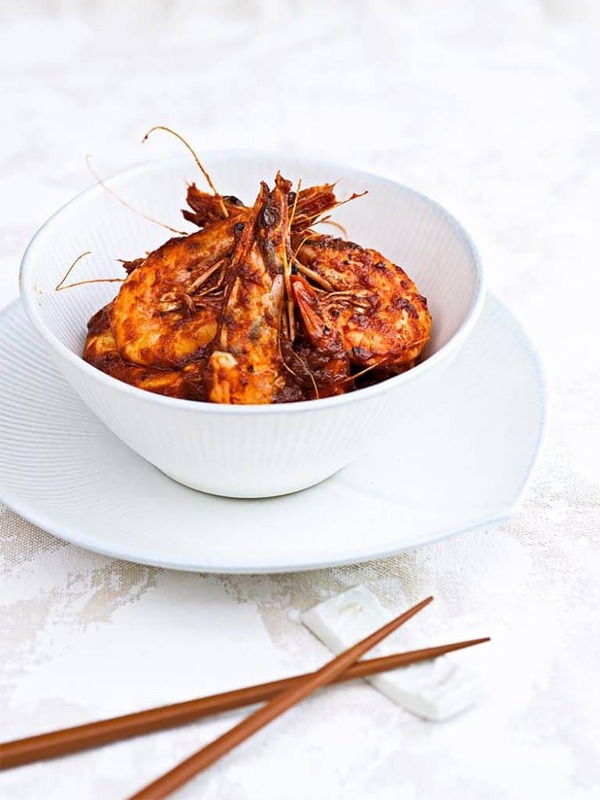 The prawns are just as delicious as the original dish, and works well as part of a main meal. Served with some stir-fry vegetables, your taste buds will take a trip to Asia without leaving the comfort of your home. 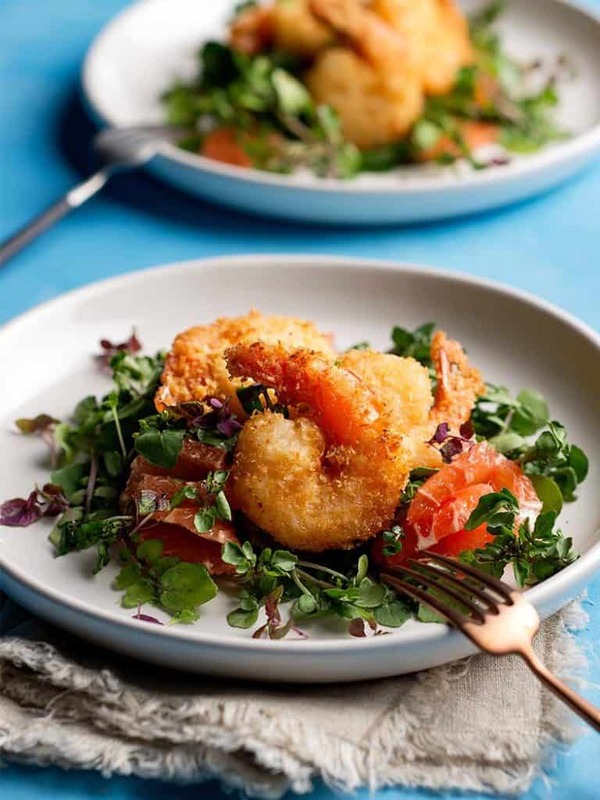 Perfect for a SIBO friendly special appetizer or entrée, crunchy prawns are coated in shredded coconut and paired with a zesty ruby grapefruit salad. Delicious crispy chicken doesn’t need to be a thing of the past while treating your SIBO. These delicious chicken strips are so easy to make and will be sure to be a hit in your household.